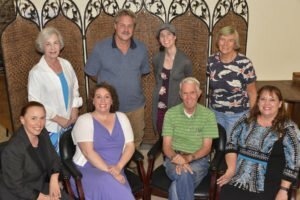 ROSWELL COMMUNITY LITTLE THEATRE elects new board members for 2016-2017 season. First row: Edie Stevens, President; Gina Montague, VP; Jim Bignell, Secretary; Yolanda Rodriguez, Treasurer. Back row: Judy Stubbs; Ty Whatley; Alethea Hartwell; Carol Bignell; at large board members. 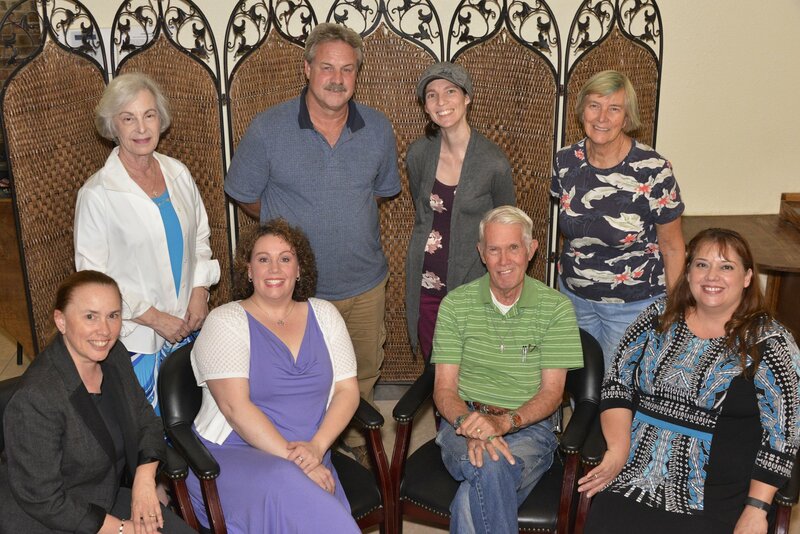 Not pictured: Connie Hester, Assistant Treasurer, Chris Samuels, at large board member.